Bored of your old android phone, Planning to buy a new one? If you are upgrading to a new android device then transferring contacts is the most important task you need to perform. This task can be quite irritating if you are not an android geek. So here are couple of methods which will guide you to transfer contacts from one android device to another. 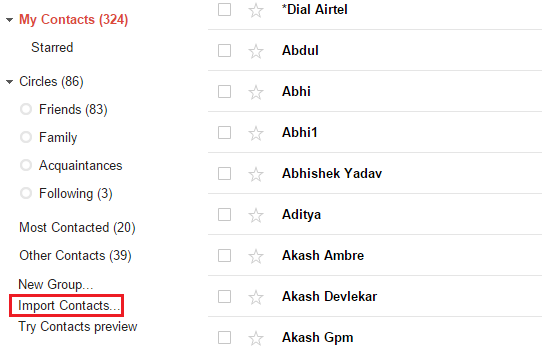 How to Transfer Contacts Using Your Gmail Account? If you have enabled automatic backup on your android device then all your contacts will be automatically backed up to your Gmail account. You can check this by navigating to Phone settings and selecting backup and reset. 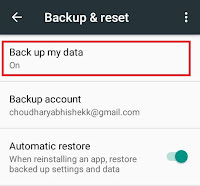 If Back up my data is turned on then all the contact are automatically synced with your Gmail account and if it’s turned off then follow the below guide to manually backup android contacts to your Gmail account. On your android device go to contacts and tap on the more option icon. 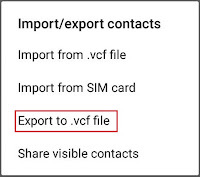 You will find various options to import and export contacts, Remember we need to export our contacts so tap on Export to .vcf file. Save the .vcf file in your SD card or internal storage, Where-ever possible. Now connect your android device to your computer using data cable and copy the .vcf file that we have exported in the previous step. Once the file is copied sign in to your Gmail account using your computer. On the left hand side click the drop down arrow and select contacts. Refer the below screenshot. 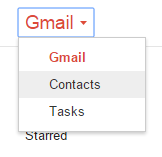 A new windows will open where you can access all your Gmail contacts. Click on more option on the left side and select Import. 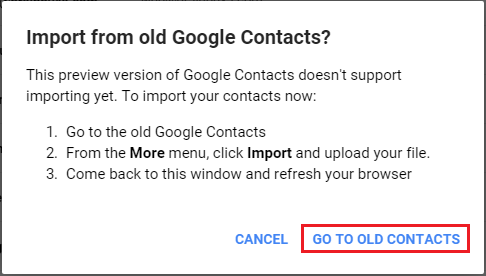 You might get a popup as shown below, This is because the new version of google contacts doesn’t support importing contacts so we need to switch to the old Google Contacts. Click on GO TO OLD CONTACTS to proceed further. 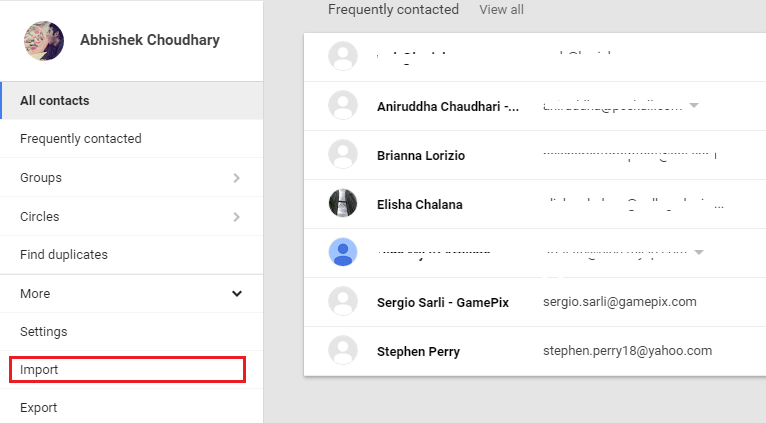 Again a new tab will open with old Google contacts interface. 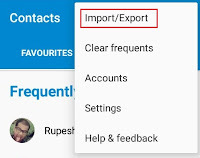 On the left hand side click on import contacts. Now choose the .vcf file which we have copied earlier from our android device and hit import. You’re done! Just sign in on your new android phone using this email and all your contacts will be imported automatically. This method is quite similar as the first one. 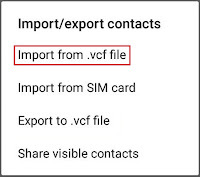 Here instead of importing contacts from your Gmail account we are directly importing the backup of contacts file (.vcf file) on your new android phone. Go to contacts and tap the options button. Further click on Export to .vcf file and save the backup file on your SD card. 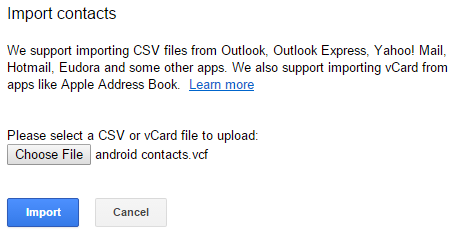 Now copy the exported .vcf backup file to your new android phone where you want to transfer your current contacts. Again go to contacts on your android phone and tap on options icon. Click on Import/Export and further select Import from .vcf file. Select the contacts backup file which we have copied from old android phone. That’s it! 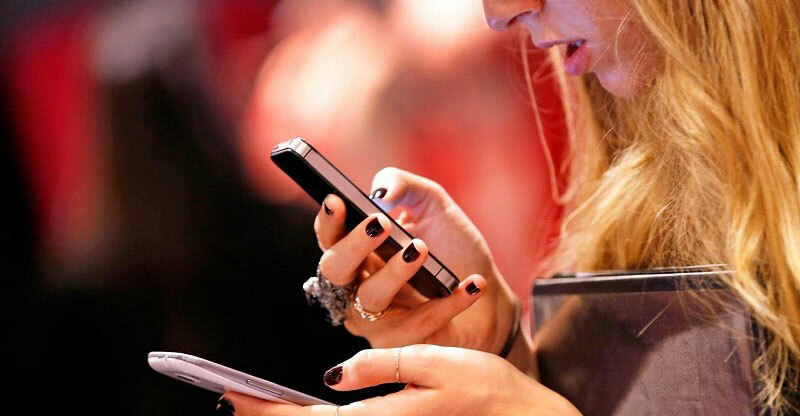 all your contacts will be transferred from your old android phone to your new android phone.